Your phone comes along with two cameras with god knows how many megapixels each. Therefore, why should you use just one of them if you can use both as conceived by Twicer? Incorporate your comments and reactions to your videos. Indeed, this application can record your face with the device's front camera while with the main camera it records everything that's going on. Thus, you can add your reactions, feelings and comments to your video. Record new videos or import those you already recorded. Add comments to your live videos or to pre-recorded ones. Share them instantly on social networks. 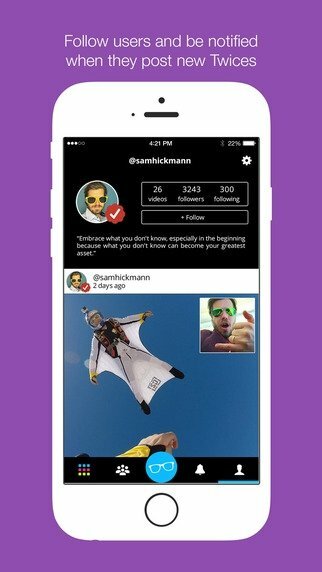 Follow and interact with other users that shared your Twices. 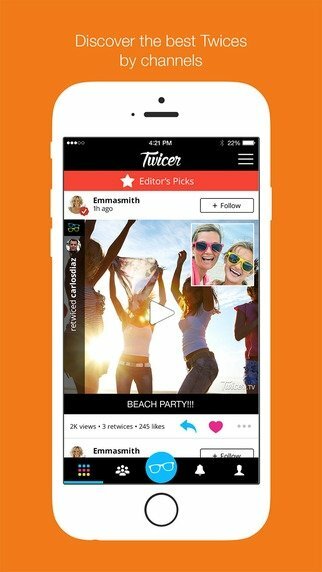 Explore the content of Twicer's channels and discover unique content. Send private video messages straight to your friends.